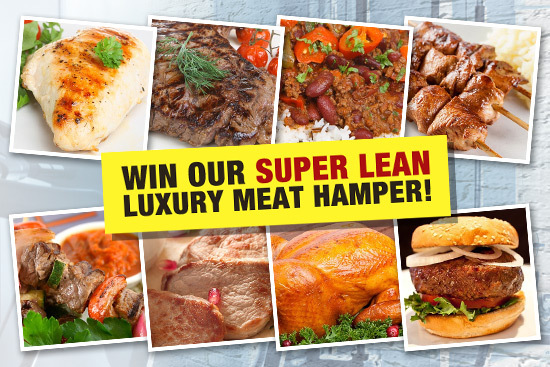 Win A £113.27 Lean Meat, Veg & Snack Hamper! Super lean, super trimmed, and super tasty award winning meats from Muscle Food. Making it easy for you to stick to an high protein diet without compromising on taste! Competition Ends: Ongoing - new winner announced weekly throughout 2015! 2. 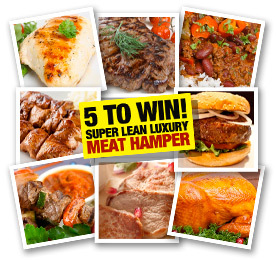 Click the Recommend button to share the Muscle Food Competition! 3. Enter your details so we can contact you if you are a winner! 3 Very Lucky Winners Weekly! Multiple entries are allowed, but a unique e-mail address is needed. Competition applies to residents of the UK mainland only. The competition will run every week throughout 2015, or until Muscle Food decide to stop the competion - 7 day's notice will be provided. All winners will be drawn at random and e-mailed. 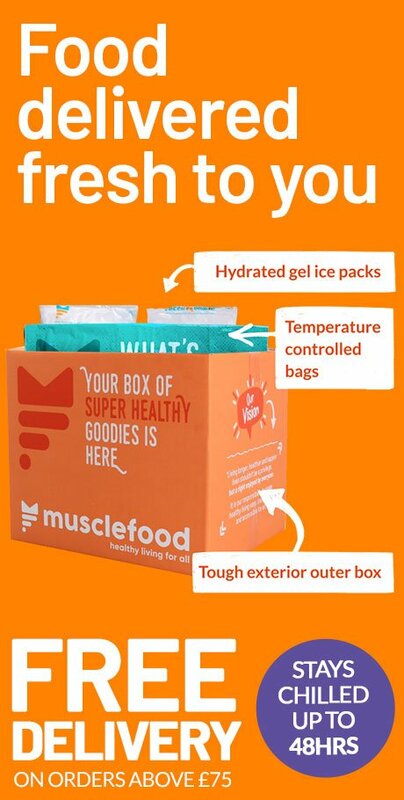 Muscle Food reserve the right to publish winners names on our site and in any press release made regarding the competition. There is no cash alternative for this prize. Winners will be announced on Facebook weekly.